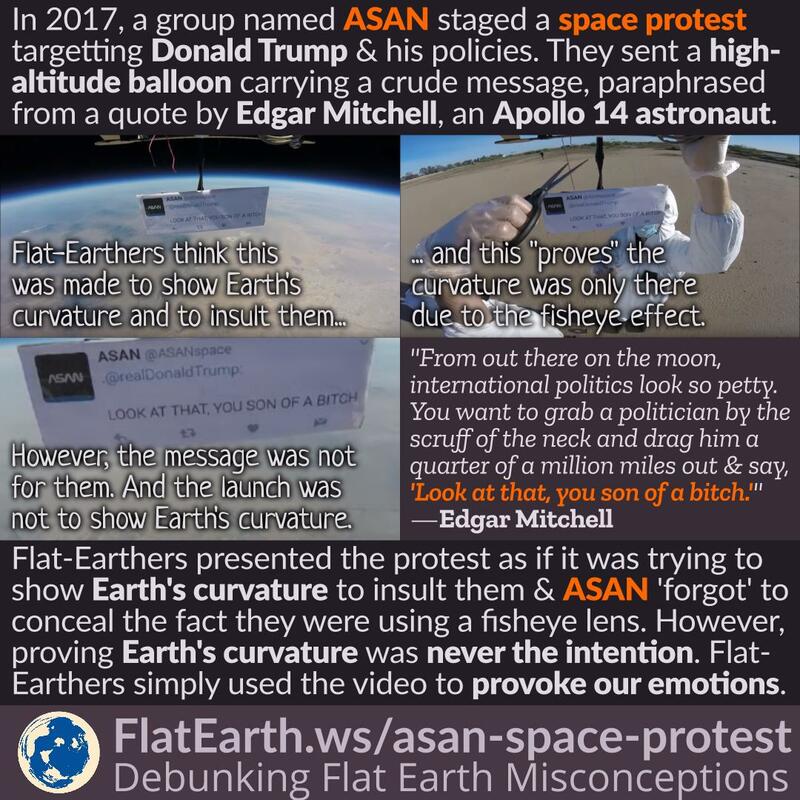 In 2017, the group who name themselves ‘ASAN’ staged a protest to Donald Trump by sending a high-altitude balloon carrying a camera and a crude message, which was quoted from a statement by Edgar Mitchell, an astronaut from the Apollo 14 mission. Some unscrupulous flat-Earthers hijacked the protest and turned it as if ASAN did it to prove Earth’s curvature and to insult them. These flat-Earthers pointed out that ASAN somehow “forgot” to conceal the fact that a fisheye lens was used. 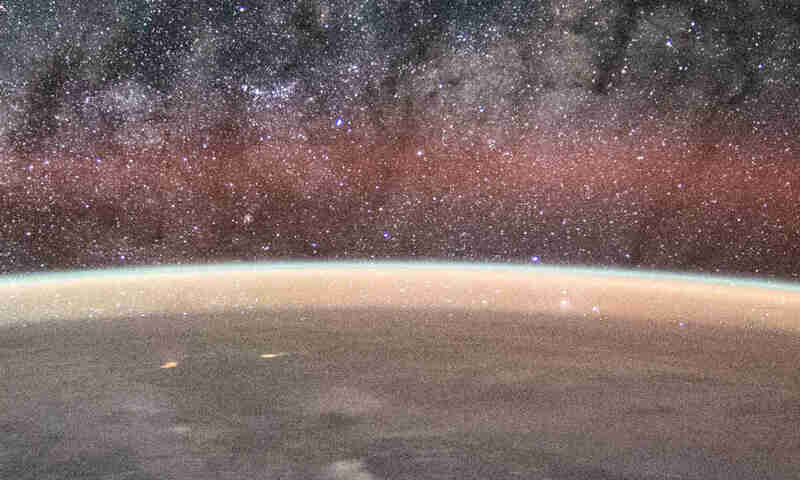 In reality, it is never the intention of ASAN to prove Earth’s curvature, nor to throw insults to flat-Earthers.